Gor Mahia coach Marcelo Ferreira aka Ze Maria wants his players to keep fighting until the very last day of the league. “The draw against Sofapaka and other similar results have complicated our situation, but the most important thing is for us to keep fighting until the final day. “The race is never decided until one breaks the tape and at this point, neither Tusker nor us, has seen the tape,” said Ze Maria to the Standard. The Brazilian tactician knows that it is going to be difficult to motivate the players, many of whom have given up as have many fans and bloggers. “We know it is now going to be tough, but we are not yet in that panic mode. We have five matches to go, including playing Tusker on the final day of the season,” he continued. Gor Mahia will play Tusker in the last game of the season on November 19, a match that could very well decide who wins the league title. Former Gor Mahia ace striker Michael Olunga has found a rich vein of form. He has now scored eight goals in the Swedish top tier where he plays for IF Djugarden. Gor Mahia did not hold elections in 2015. The eagerly awaited elections are due to be held this year are shrouded in secrecy and mystery. Additional reporting from the Nation. As the Gor Mahia fraternity heads to the eagerly-anticipated Special General Meeting on Sunday, leading candidates for the chairmanship position have raised the red flag over the procedure followed in convening the meeting. Dan Oketch, who is angling to unseat long-serving club boss Ambrose Rachier, on Tuesday said that the planning of the meeting has been shrouded in secrecy. Chris Omondi, who also wants the top job, also questioned whether the club executive followed the right guidelines as entrenched in the club’s constitution. “Up to now, we have not been told the exact time when the SGM will begin. Does it mean that the organizers have a hidden agenda or do they want to ambush us?” posed Oketch. The SGM is expected to adopt the new constitution and draw a road map for the elections expected to be held in December. Contacted, acting club secretary general Ronald Ngala defended the office from criticism saying that due process was followed. “Yes, the deputy secretary general (Anima Aketch) called for the meeting because she was mandated by the executive committee. So, the SGM is an executive decision,” Ngala told Daily Nation Sport. With the elections long overdue, Oketch and Omondi have been building their support bases with the aim of unseating Rachier. Oketch has particularly been in an overdrive mode mobilizing supporters off the pitch and also building a strong presence on social media. If elected, Oketch says that revitalizing the sleeping giant by constructing a modest stadium complete with training facilities as well as injecting professionalism will top his agenda. Omondi, on the other hand, who served as secretary general before throwing in the towel citing frustration from his colleagues, has been heavily involved with the club’s junior team. The draw against Sofapaka dented Gor Mahia’s hopes of retaining the league title that they won for three seasons in a row. They now trail leaders Tusker by four points. But with five matches left, the league title is still very much within Gor Mahia’s Tusker since the latter have not exactly been a model of consistency. “None of these two teams wants to be champions,” football analyst and former Tusker coach Jacob “Ghost” Mulee said. “When Tusker drop points, Gor do the same. 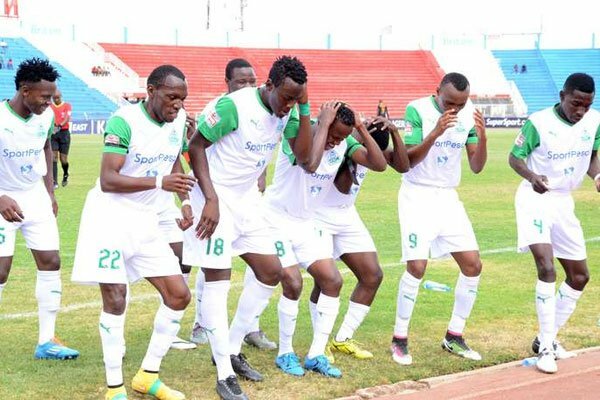 When Gor is expected to win, they drop points,” said TV analyst Jacob Ghost Mulee. To be sure, Gor Mahia still have some crucial encounters to play, in particular against AFC leopards and against Tusker. That match could very well decide who wins the league. Tusker too have to play against Ingwe. 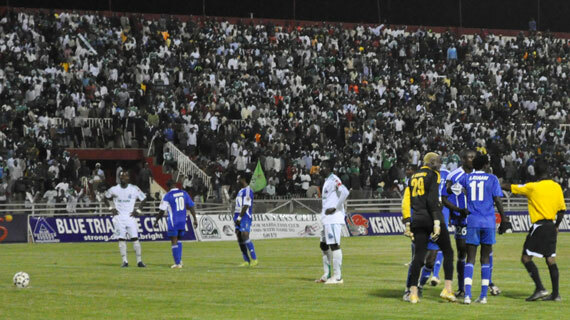 For Gor Mahia, they once again have to pick the positives from the match and learn from it. “There are three results in football; a win, loss and draw. We got a draw and we appreciate for that. This is just football and it requires patience so one point is enough to be thankful but I think we will work on missed chances and see how strikers can score goals,”said assistant coach Tom Ogweno to Supersport. Ogweno suggested that Sofapaka came in knowing exactly how to defend against Gor Mahia and it worked for them. “Sofapaka’s strategy worked for them and that it can only leave us to work for next time. There is no pressure despite the few remaining matches anything can happen but I believe we are still in the title race since we haven’t loss this one,” he continued. 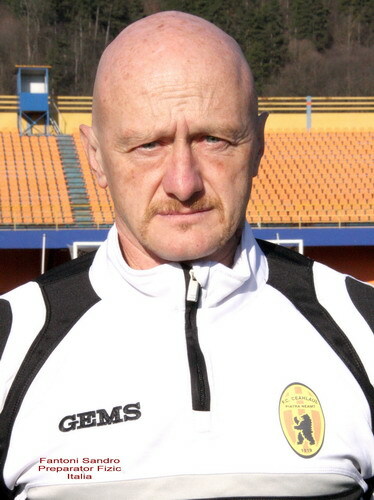 Coach Ze Maria will now be hard pressed to change his tactics before the next game and even within the game. And he will have more than two weeks to re-strategize. The next game will be against Western Stima on October 12. Organizing secretary Ronald Ngala for his part accused Sofapaka of sabotage. “It was like sabotage because you could see they were fighting for a point which had no impact on their survival chances. They played like a final and you wonder where the stubborn goalkeeper was all along when they were losing almost every match. Had they played the way they did yesterday Sunday they would definitely not be at the bottom,” Ngala complained.Ngala is said to Citizen digital. Ngala admitted that the draw was a huge blow. “It is a big blow to our bid to lift the KPL title for the fourth time in a row. We were relieved to have reduced the seven-point gap between us and Tusker to only two. Failing to maintain it was disappointing,” he said. But he says the team is not giving up until its completely over. “We will accept the league is gone if Tusker will be ahead of us by more than three points after the 29th. The mistake people are making is comparing our performance with that of last season which was an exceptional year,” he added. 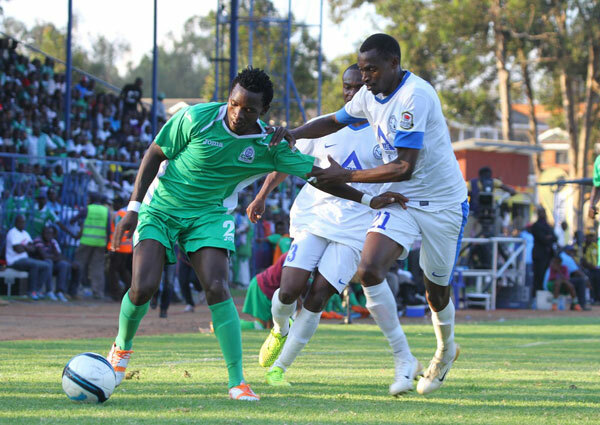 Basement side Sofapaka FC dented Kenyan Premier League (KPL) champions, Gor Mahia’s aspirations of retaining their crown when they forced them into a barren stalemate at Nyayo Stadium in Nairobi on Sunday. Elsewhere, Victor Ademba gave visiting Sony Sugar a 26th minute lead at Thika United but the hosts forced a share of the spoils when Musa Saad equalised in the 76th to leave the sugar millers tenth (32), three places above their opponents. The result at Nyayo handed the initiative in the title chase back to leaders Tusker FC who are now four clear at the summit on 48 points with five games to go in an encounter where Sofapaka goalkeeper, Mathias Kigonya, produced a man-of-the-match performance to thwart K’Ogalo. “We closed Gor at the centre because we knew that is where the danger was. My players had four clear chances of hitting them on the counter but failed to score. We are optimistic we will survive, this was an important match that I believe will inspire my team to fight on in the remaining five matches,” satisfied Sofapaka boss, David Ouma, who returned to the side after his engagements with Harambee Starlets said. “My return adds something but I want to thank my technical bench for the job they have done in my absence. We own the results as a group whether I’m present or not,” Ouma added. His team inched to within a point of second from bottom Nairobi City Stars with 16, eight behind Ushuru FC who occupy the last slot to escape the chop. Gor boss, Marcelo ‘Ze Maria’ Ferreira was too distraught to speak to the media after honouring his obligations with broadcast sponsors as he rued a missed opportunity to turn the pressure on Tusker who won 2-1 on Friday. 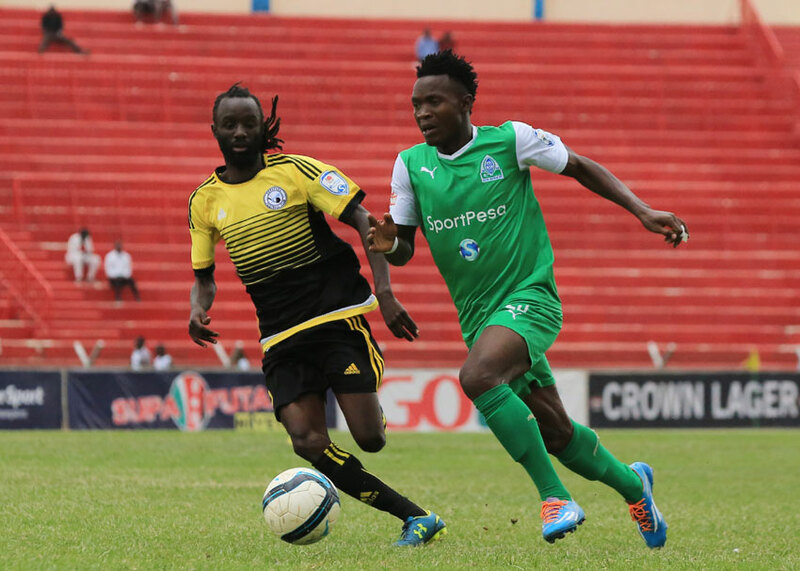 Field captain, Musa Mohammed who was marking his record 250th appearance for Gor set the tone for a frustrating afternoon for Gor when he failed to hit the target when a pin-point free kick from the returning Eric ‘Marcelo’ Ouma in the second minute. Eric Ochieng, who crossed over from Gor to Sofapaka in June then tested Boniface Oluoch with a free-kick in the ninth, before floating another set piece delivery two minutes later but defender Abouba Sibomana got the better of Johnson Baagole in an aerial contest to avert danger. Ouma then wasted two chances in quick succession, his first shot from close range was denied by the keeper when Gor raced to the other end after being put through goal by a glorious cross from Karim Nzigiyamana before he failed to turn in a George ‘Blackberry’ Odhiambo pass across goal in the 19th. Jacques Tuyisenge then almost gave the title-holders the lead in the 23rd, Nzigiyamana crossing to him from the right only to be denied by Kigonya as he prepared to pull the trigger. In the 35th, Tuyisenge’s header flew just over with Kigonya beaten, after he was set up by Francis Kahata. On the stroke of the half time, Kigonya blunder almost gifted Gor the opener in the only blot to his commanding shift between the sticks after he needlessly handled the ball just outside the box. The resultant free-kick was blocked by Francis Kentile and the whistle blew for half time before Earnest Wendo could convert the rebound much to the chagrin of K’Ogalo players. At the restart, Ouma introduced Charles Melubo for Fredrick Ojwang and the new man saved his side when he deflected Kahata’s shot that was flying in out for a fruitless corner. Gor pinned Batoto ba Mungu in their own half with Meddie Kagere who was playing on the right flank in the first half joining Tuyisenge in a central forward role as Ze Maria switched to a two-pronged attack. The former Brazilian international then introduced exciting youngster, Amos Nondi resting Sibomana with the new man paving way for Odhiambo to switch flanks to the left as Ouma dropped to defence. Gor’s all out attack was almost caught out cold in the 67th when Salim Gichuki stole the ball from Nzigiyamana and quickly crossed to the unmarked Melubo who spurned the chance by firing straight to the under employed Olouch. Ze Maria then hauled off Odhiambo for Ugandan Godfrey Walusimbi, before finally withdrawing Nzigiyamana for former Sofapaka man Enoch Agwanda in a last ditch effort to find a breakthrough. Agwanda’s corner in the 85th found Mohammed in the box but the skipper was denied the headlines when his finish cannoned off the cross bar in what was the last clear cut opportunity for the champions to grab victory. 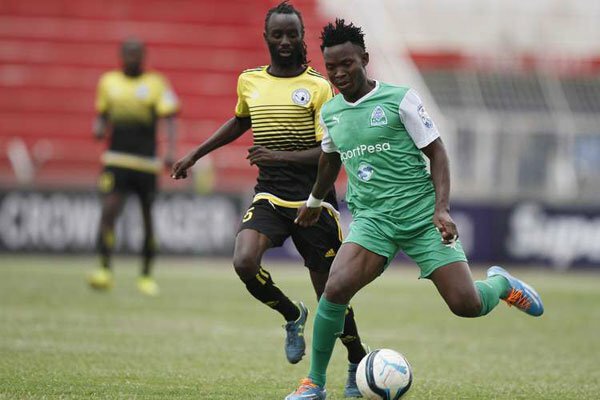 K’Ogalo’s profligacy returned to haunt them after successive wins reignited their challenge after cutting down a seven-point lead to two in what was their sixth draw in eight KPL games. As Gor Mahia approaches the remaining six matches. Only two points separate the two teams. And there are three teams that are tied at 37 points and within shouting distance of Gor Mahia and Tusker. 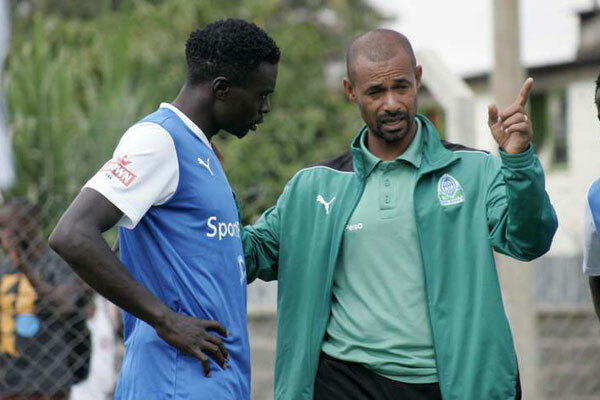 Gor Mahia skipper Musa Mohamed has said that the team change in fortunes for the team was due to a laser like focus. Musa also knows that focus among team members is going to be crucial in the last six games. As for Brazilian tactician Ze Maria, he was full of praise for Ulinzi Stars whom he said came ready to play real football. “Every team needs to be like Ulinzi. Many teams come into our matches looking to defend so much that they end up not playing at all. Ulinzi didn’t do that. They ran in the first half and they ran in the second half and you could see that they were prepared to win. That is football.” said Ze Maria to the KPL website. Ze maria says playing positive football enables players to show their real attributes. “When a team comes prepared to win and not just to avoid conceding goals, it becomes even more beneficial to the players because they end up showing real football attributes. I hope all teams in this country can play like that,” Ferreira said. But Ze Maria should fully expect the remaining teams to park the proverbial bus against Gor Mahia. And he will need to adjust his tactics as such. Gor Mahia’s next match is against Sofapaka on September-25.